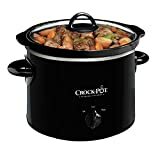 Slow cookers are lifesavers for many people and considering their high sales every year, it is more than apparent that this is an appliance that is winning hearts all over. The best thing about this appliance is that it makes it possible to serve delicious meals to your family every day without having to go into much of an effort. It practically does the job and because it cooks slowly, the flavours you can achieve are tremendously rich. If you are thinking of buying a slow cooker, there are a few things to know. Saves time: If you have a busy day ahead, all you have to do is prep the vegetables and meat, put everything in the slow cooker, turn it on and leave the house. When you return after several hours, a delicious meal will be waiting. One-step cooking: It allows you to prep everything and forget about it because the rest of the work is done by the appliance without you having to check in constantly. Saves power: It saves you electricity because it consumes less power than an oven. 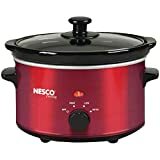 Cost-effective: If you are trying to save money and choosing less expensive cuts of meat, you will find that the slow cooker does justice by easily tenderising the meats so that you can serve up lovely dinners every night. Variety: This appliance lets you cook a variety of dishes such as stews, soups, casseroles, and even curries. Considering buying one? Here’s what to know. The heating element should be something that makes it easy for you to cook. You don’t want a heating element that means that you have to stir because otherwise the bottom may burn! When it comes to materials used, you can choose from porcelain, ceramic or even metal and it really depends on what you find preferable. You should consider how easy it will be to clean every day before you buy one. The best lid material for slow cookers would be glass because it lets you see what is happening inside without you having to open the lid. Choose a shape and size that will fit easily in your kitchen counter. If you will be making a lot of brisket or whole chickens, an oval shape is the best but if you usually cook beans and stews, any shape will do. 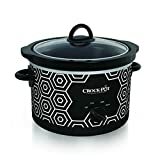 Crock-Pot: This is a classic brand and it does full justice to the tasks of a slow cooker. Hamilton Beach: This company manufactures several no-frills options you will love. Smart Wi-Fi-enabled WeMo: This is the perfect appliance to buy if you hate leaving home with a slow cooker on. It lets you check on what is happening from afar making it the perfect fit for working people.